I am so excited to have Akemi Dawn Bowman stopping by the blog today! 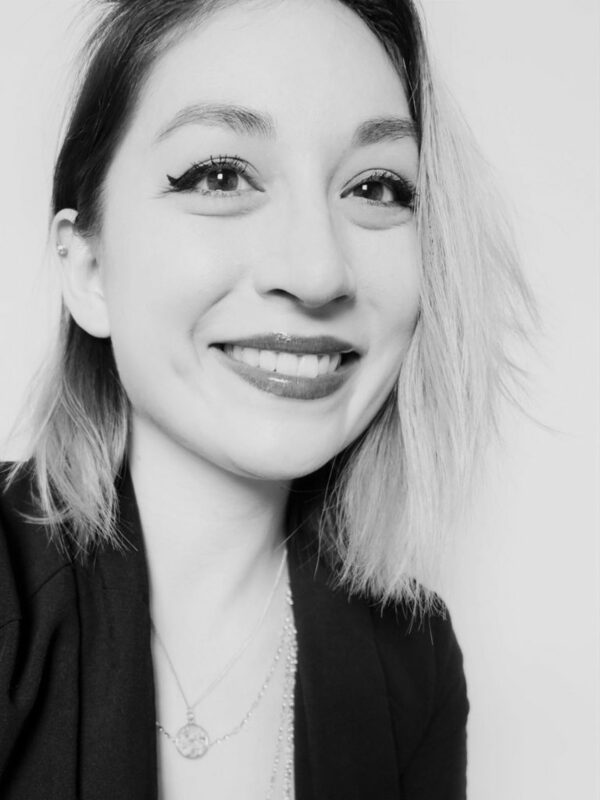 Read on for a Q&A about her 2018 UKYA debut novel, Starfish, social anxiety, and the lack of YA featuring mental illness with protagonists of colour. Can you tell us a little about Starfish? STARFISH is about a teen artist named Kiko who dreams of going to art school and escaping her very toxic home life. It deals with racism and abuse, so it’s definitely not a light read. But I think it’s ultimately a hopeful book that is necessary for people who maybe don’t often get to see themselves represented on the shelves. Kiko has social anxiety; how does her mental illness affect her day to day life? Kiko’s social anxiety weaves its way into almost everything she does. She is too scared to say what she really thinks, and the thoughts she does convey to the rest of the world—even people she feels close to—are often diluted fragments of her real feelings. She struggles to go places on her own, and constantly worries people won’t like her for things that are out of her control. Kiko is biracial – half-Japanese, half-white – and Starfish shows how her ethnicity and social anxiety intersect, and also how the abuse she suffers from her mum intersects with these two aspects of her identity, too. How important was it to you to show these intersections? Oh, very important! Kiko probably wouldn’t be the same person if she had been dealing with only one of these things, or even two of them. For example, someone who doesn’t have social anxiety might have suffered less from their parent’s abuse—which is shown a bit in the way Kiko’s older brother Taro reacts to their home life. But Kiko’s social anxiety and fear of always doing something wrong is made a thousand times worse with a mother who is emotionally abusive and reinforces this idea that Kiko isn’t good enough. On top of that, she’s grown up in a predominantly white town where microaggressions from her peers are very common. So she’s sort of equated this idea of not being good enough with the fact that she’s half-Japanese. I think it can be easy for someone going through these intersections to be so desperate for someone to just understand them. And in some ways, this is a massive part of Kiko’s journey—breaking the habit of relying on people, and discovering how important it is to love and accept yourself. Jamie, Kiko’s friend and love interest, sometimes gets frustrated over how Kiko’s social anxiety affects her, and makes several mistakes. Because of the abuse she’s suffered from her mum, Kiko automatically feels guilty when she frustrates or inconveniences someone, but as the story goes on, Kiko does stand up to Jamie when he’s being unreasonable - one of my favourite parts of Starfish. Was it important to have a character in Jamie whose heart is in the right place, but screws up? And for Kiko to get to a place where she sticks up for herself? Yes, because nobody is perfect. And Jamie is someone who doesn’t always get things right, but he tries his best to understand Kiko and what her anxiety means. Kiko’s anxiety makes it really hard to communicate how she feels, and for someone who cares about her like Jamie, it can be as frustrating to understand as it is for Kiko to want to be understood. And I know in my life, it’s very rare that I meet someone who just “gets” my anxiety immediately. So with Jamie, I wanted to be realistic, but also showing how it’s healthy and possible to try to understand people who maybe react to the world differently. And as far as Kiko getting to a place where she sticks up for herself, that was probably the most important part of the story. Kiko is more resilient than she realizes, and from the very beginning she makes it clear she wants to break away from her home life and get to a place where she’s happy with herself. This story is very much about Kiko’s growth, and how important it is to find a place where she feels emotionally healthy, without having a “cure” for her anxiety. Through research and recommendations, I have a list of YA novels that feature protagonists of colour who have a mental illness. My list [at the time of this interview] is at eleven* – just eleven – with Starfish being the only novel on the list written by an author who lives in the UK. It’s possible that there are books I’ve not found or haven’t been recommended to me, but it’s obvious the number is very, very low. As an #OwnVoices author, what do you think about the publishing industry seeming to focus primarily on white protagonists with mental illnesses? I think the numbers every year show that publishing overwhelmingly features white protagonists across all subjects and genres. And there are writers of color who are writing these stories, but sometimes even when they’re published they don’t get the same promotion as their white peers. I don’t have an easy answer for such a frustrating part of the industry, but I think readers need to show up for these books. Boost books by people of color, buy them, and show publishers you want more of them. It could make all the difference in whether a book gets more promotion, which translates into more sales, which translates into more books by and about people of color in the future. Are there any YA novels featuring protagonists of colour who have a mental illness that you would recommend? Or YA novels featuring mental illness in general? LITTLE & LION by Brandy Colbert and THE ASTONISHING COLOR OF AFTER by Emily X.R. Pan are two of my go-to recs! Thanks so much for inviting me to do an interview! Thank you, Akemi, for answering my questions and getting involved in Mental Illness in YA Month! Wasn't that a fantastic interview? I honestly can't tell you how much I adored Starfish! It's not related specifically to mental illness, but I highly recommend also reading Akemi's post on Diversity in YA, Truths and Mirrors - it's wonderful. 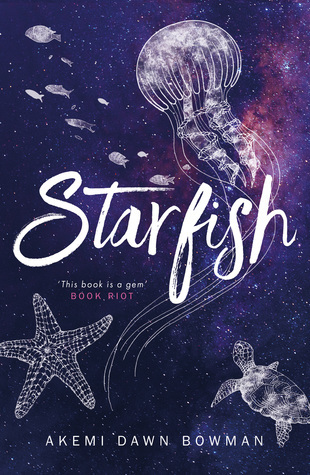 Be sure to check out Akemi's website, follow her on Twitter, and buy Starfish, which is an absolutely incredible novel - you can find my review here. *Since sending my interview questions to Akemi, I discovered a few more books featuring protagonists of colour, and my list is now at fourteen. I will be sharing a list of these books later in the month. And now for the giveaway to win a copy of Starfish! Enter to win a copy of Starfish by Akemi Dawn Bowman by filling in the Rafflecopter form below. The winner will be chosen by Rafflecopter and will be announced in this post. Thank you for stopping by and commenting! It's definitely really important that intersectionality is represented in books - like Ashley Woodfolk has said, there needs to be "diversity within diversity". I love this interview!! I read starfish just over a week ago and I love love loved it!!! The answer about Jamie being imperfect - definitely the main reason I loved his character. I was also trying to make a list of (good) books about mental illness and it was not a lot... We definitely need more books on this topic, especially diverse books. Right?! This book is incredible, I just loved it! I did like seeing Kiki stand up to Jamie. I too often read books where the other characters say crap things and just get away with it. I love that they worked it out, though! And YES, more diverse books featuring mental illness. We so need more intersectionality!